A new research finds that our response to stress, even minor daily stressors, such as waiting for too long at the supermarket or getting stuck in traffic may affect how healthy our brain is, particularly into old age. Prolonged stress can lead to a wide range of health issues such as heart disease, diabetes, mental health conditions, sexual dysfunction, depression, schizophrenia, post-traumatic disorder, burnout, and many other physical and mental issues. While scanning all the effects that stress has on the brain, a recent study suggests that a high level of cortisol (stress hormone) may have a negative impact on our memory. 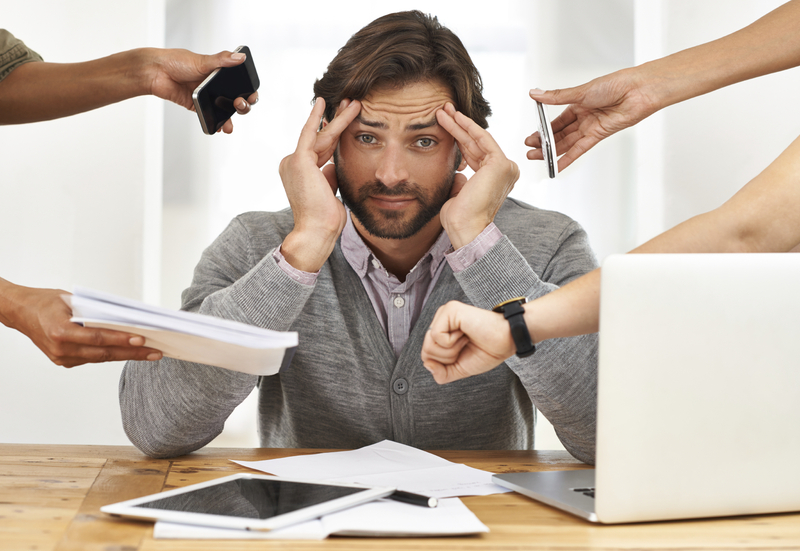 The question is how small, daily stressors can impact the brain. A new research was led by Robert Stawski, an associate professor in the College of Public Health and Human Sciences at Oregon’s State University in Corvallis. The researchers suggest that it is not all about the stressful events in themselves, but the reactions to small or big stressful events. The reactions are important when we talk about how stress affects our mood and how it harms our brain health. Specifically, Robert Stawski and his colleagues examined how seniors’ responses to everyday small stressors, such as waiting in a line for too long or in a traffic jam, affects their cognitive health and memory. The findings are available in the journal of the American Psychosomatic Society, Psychosomatic Medicine. Should we be drinking soy milk? Soybeans, a type of legume native to Asia, are popular among foodies who like to stay healthy. Soy was a part of traditional Asian diets for thousands of years. There is a strong evidence that soybeans were a part of the diet in China as early as 9000 BC. Today, soy is consumed widely, not only as a source of plant-based protein but also as an ingredient in processed foods. Still, soy is a controversial food, while some praise its health benefits, while others claim that it could be bad for you. It’s been proven that soy has a few bad health impacts, such as containing some isoflavones that can function as endocrine disrupters which can activate or inhibit estrogen receptors. Soy isoflavones affect the overall risk of breast cancer. In other words, soy isoflavones can increase the multiplication of cells in the breast. Whole soybeans are extremely rich in micronutrients, however they also contain phytates which can block minerals. On the other hand, soybeans are very rich in Omega-6 polyunsaturated fatty acids which can also have a negative impact on our overall health. The best advice is to use soybeans in line with your overall diet and health issues that you might have. Also, if you have any concerns, you should always speak to your doctor. To succeed in business as a young manager or someone who aspires to be an entrepreneur, treat your body well. Why Your Health is the Main for Success in Business? To succeed in business as a young manager or someone who aspires to be an entrepreneur, treat your body well, which means get proper sleep, eat right, challenge your body and reward yourself. You will most definitely achieve new levels of productivity at work and in everyday life. Three most important things for your overall health and success in business are exercise, nutrition, and sleep. For all experts, artists, industry titans, thought leader and influential entrepreneurs these three points of a good lifestyle are crucial for success. “The snooze button is the single worst invention for sleep ever.” His theory is that extra sleep we get when we hit a snooze button just keeps us feeling grumpy and groggy. Also, hitting snooze has an impact on our psychological well-being as well. When you hit snooze, you are subconsciously saying to yourself that getting a few more minutes of low-quality sleep is way more important than accomplishing important things in your life. Besides sleep, eating healthy and finding time for exercising is crucial for good overall health. Put an effort and plan your dinner carefully and find some time in your week to hit the gym and you will most definitely feel better.